Lamont Colucci, PhD, is a professor, speaker and presenter, columnist and former U.S. State Dept diplomat. He is an expert in U.S. national and homeland security, intelligence and foreign policy. 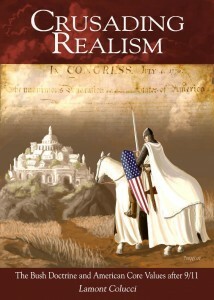 Lamont Colucci, PhD, is Associate Professor of Politics and Government at Ripon College. He is a Senior Fellow in National Security Affairs for the American Foreign Policy Council, as well as a weekly foreign policy commentator for U.S. News and World Report. 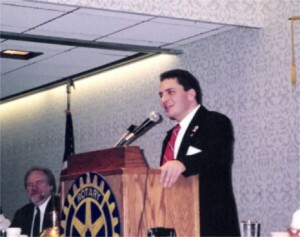 Dr. Colucci is also an experienced professional speaker on a wide range of topics, from U.S. National Security and Foreign Policy, to economic and financial profiles of various countries. Dr. Colucci was a diplomat with the U.S. Dept. of State; he earned his undergraduate and graduate degrees at the University of Wisconsin-Madison and doctorate in politics from the University of London, England. Professor Lamont Colucci not only teaches at Ripon College, but leads its National Security department and contributes to political education groups. 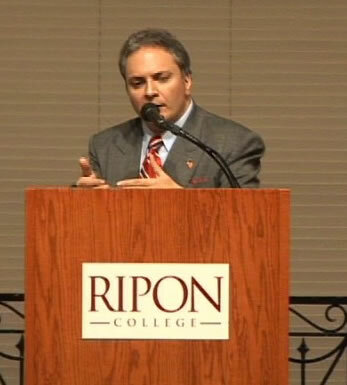 At Ripon College, Professor Colucci coordinates the National Security Studies program, teaching courses on national security, foreign policy, intelligence, terrorism, and international relations. In 2007 he was the recipient of Ripon’s Severy Excellence in Teaching award, and in 2010 the Underkofler Outstanding Teaching Award. He also served as founding interim Director for the Center for Politics at Ripon College. View the catalog of all Dr. Colucci’s columns and articles. 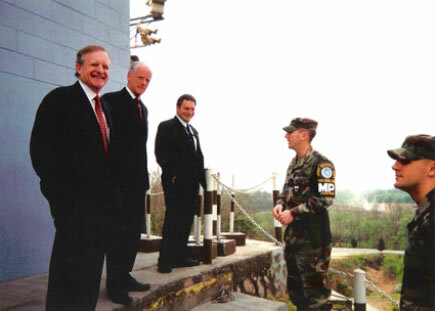 Lamont Colucci, PhD, former Dept of State diplomat, stands at the demilitarized zone of North and South Korea with then-Governor of Oklahoma. 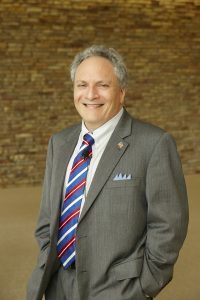 Dr. Lamont Colucci is a regular speaker and presenter, covering topics from U.S. National Security, to Great People in History, to abstracts on American Leadership. You can learn more about Dr. Colucci’s topics for presentations at this link. Dr. Colucci is Senior Fellow in National Security Affairs for the American Foreign Policy Council. He’s also the Advisor in National Security and Foreign Affairs. 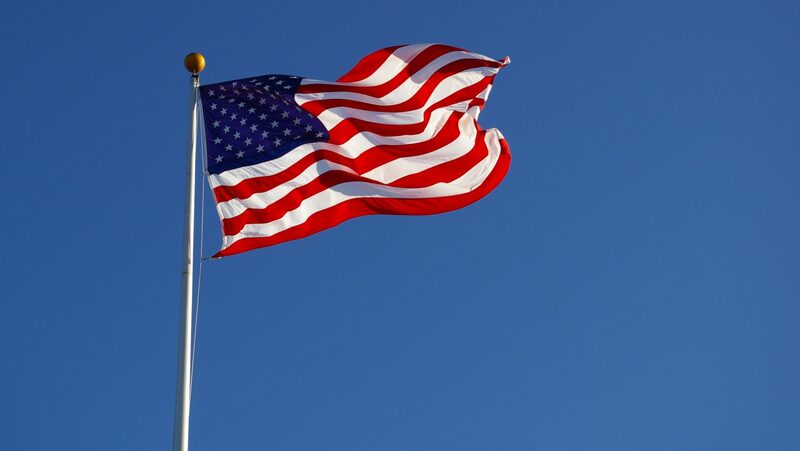 Dr. Colucci is proud to serve as the Senior Fellow in National Security Affairs for the American Foreign Policy Council, contributing his unique knowledge and expertise to understanding America’s role in the world. For nearly three decades, the American Foreign Policy Council (AFPC) has played an essential role in the U.S. foreign policy debate. Founded in 1982, AFPC is a 501(c)(3) non-profit organization dedicated to bringing information to those who make or influence the foreign policy of the United States and to assisting world leaders with building democracies and market economies. AFPC is widely recognized as a source of timely, insightful analysis on issues of foreign policy, and works closely with members of Congress, the Executive Branch and the policymaking community. It is staffed by noted specialists in foreign and defense policy, and serves as a valuable resource to officials in the highest levels of government. Dr. Lamont Colucci also advises the NATO-based Conference of Defence Associations Institute. He served as founding interim Director for the Center for Politics at Ripon College. In this book, Dr. Colucci discusses the Presidential dominance of American foreign policy and the religiosity and leadership style of President George W. Bush. Dr. Colucci contrasts the post-9/11 Bush administration with its earlier incarnation, and with that of its immediate predecessor. He presents the development of a distinctive policy position founded on pre-emption, prevention, primacy, and the promotion of democracy. 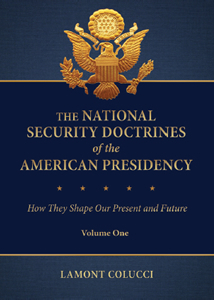 Finally, Dr. Colucci analyzes the emergence of the Bush Doctrine from 2001-2003 in relation to four distinct phases: its genesis, initial development, further evolution, and maturation.